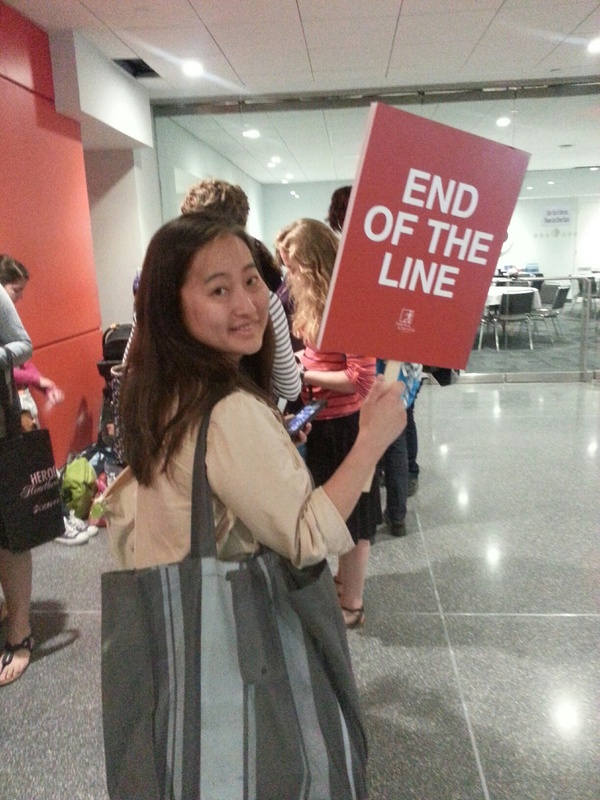 I was very excited to attend today BookCon at Javits Center, the publishing conference for us non-industry folk. The organizers had put together a great schedule of panel discussions, author appearances and book signings, and had even created a designated BookCon show floor separate from the BEA Expo, the industry event that has been going on all week. But then they oversold it. A lot, a lot. There were so many people trying to get into the show that security had to limit the people who could enter each half hour. People (like me) missed events because they weren’t allowed in due to traffic congestion. Once I finally was inside, every session I wanted to attend was either already over, closed to additional participants, or had a two-hour line that snaked around Javits and back. The feed on the BookCon app was filled with derogatory comments from disappointed fans, many of whom had traveled hours to attend. I realized fairly quickly that we had all been ‘conned’ and left. Manhattan was right outside, and can be fairly entertaining. This entry was posted in Books, Commentary, Entertainment, Humor, Life, Travel and tagged author, BEA Expo, book signing, BookCon, BookCon app, books, commentary, conference, entertainment, Humor, Javits Center, life, Manhattan, New York City, overbooked, panel discussion, publishing, security, show floor, Travel, writer. Bookmark the permalink.